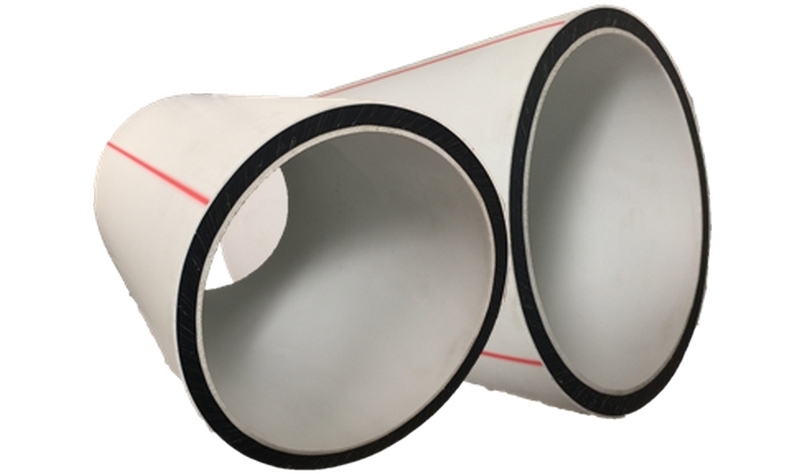 Prime Tuff ™ is an Abrasive Resistant HDPE Pipe manufactured as a three layered co-extruded pipe consisting of a White Outer Layer for reflecting sunlight, a Black middle structural layer, and an special inner layer of ABRASIVE RESISTANT material which outperforms abrasion on HDPE/RUBBER LINED STEEL/POLYURETHANE. Prime Tuff’s proven triple layer anti abrasive large bore Semi-Rigid HDPE pipe system provides an API15LE compliant installation and the ABRASIVE RESISTANT inner layer increases the service life of our HDPE pipe, offering a significant cost-savings potential due to extended intervals between required maintenance shutdowns. Pipes are available in IPS sizes from 180mm to 450mm. Due to its rugged, noncorrosive construction and lightweight materials it provides a cost competitive solution with reduced installation time and is ideal for underwater applications.